We recommend that you consult your vet prior to boarding your dog, to ensure your dog has the maximum coverage against kennel cough, which is an airborne virus similar to the human common cold. Please advise us of Heart Worm Treatment. All pets should be treated for intestinal worms prior to their visit with us. Cats’ minimum vaccination requirements F3. This vaccination will give cats protection against 2 types of viral Cat Flu and Feline Enteritis. 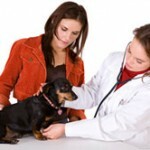 All pets should be treated for intestinal worms prior to their visit with us.